I began by tinkering around with some old tunes I knew. Then, just to try something different, I set to putting some music to the rhythm that I used in jerking ice-cream sodas at the Poodle Dog. I fooled around with the tune more and more until at last, lo and behold, I had completed my first piece of finished music. Don’t trust a brilliant idea unless it survives the hangover. Because of their courage, their lack of fear, they (creative people) are willing to make silly mistakes. The truly creative person is one who can think crazy; such a person knows full well that many of his great ideas will prove to be worthless. The creative person is flexible; he is able to change as the situation changes, to break habits, to face indecision and changes in conditions without undue stress. He is not threatened by the unexpected as rigid, inflexible people are. Don’t ask what the world needs, ask what makes you come alive, and go do it. Because what the world needs is people who have come alive. There is no use trying, said Alice. One can’t believe impossible things. I daresay you haven’t had much practice, said the Queen. When I was your age, I always did it for half an hour a day. Why, sometimes I’ve believed as many as six impossible things before breakfast. Neither the poet’s words nor the inventor’s things have any remarkable properties of their own. They are everyday words and things. It is the juxtaposition of them which is new. He fain would paint a picture. We will discover the nature of our particular genius when we stop trying to conform to our own and other’s people’s models, learn to be ourselves and allow our natural channel to open. Nothing is done. Everything in the world remains to be done or done over. The greatest picture is not yet painted, the greatest play isn’t written, the greatest poem is unsung. There isn’t in all the world a perfect railroad, nor a good government, nor a sound law. Physics, mathematics, and especially the most advanced and exact of the sciences are being fundamentally revised. . . Psychology, economics, and sociology are awaiting a Darwin, whose work in turn is awaiting an Einstein. Routine in cuisine is a crime. The creative person wants to be a know-it-all. He wants to know about all kinds of things-ancient history, nineteenth century mathematics, current manufacturing techniques, hog futures. Because he never knows when these ideas might come together to form a new idea. It may happen six minutes later, or six months, or six years. But he has faith that it will happen. It’s better to fail in originality, than succeed in imitation. Creativity is seeing something that doesn’t exist already. You need to find out how you can bring it into being and that way be a playmate with God. Listen to anyone with an original idea, no matter how absurd it may sound at first. If you put fences around people, you get sheep. Give people the room they need. The key question isn’t, “What fosters creativity?” But it is why in God’s name isn’t everyone creative? Where was the human potential lost? How was it crippled? I think therefore a good question might be not why do people create? But why do people not create or innovate? We have got to abandon that sense of amazement in the face of creativity, as if it were a miracle if anybody created anything. Everyone who’s ever taken a shower has had an idea. It’s the person who gets out of the shower, dries off and does something about it who makes a difference. You write your first draft with your heart and you re-write with your head. The first key to writing is to write, not to think. 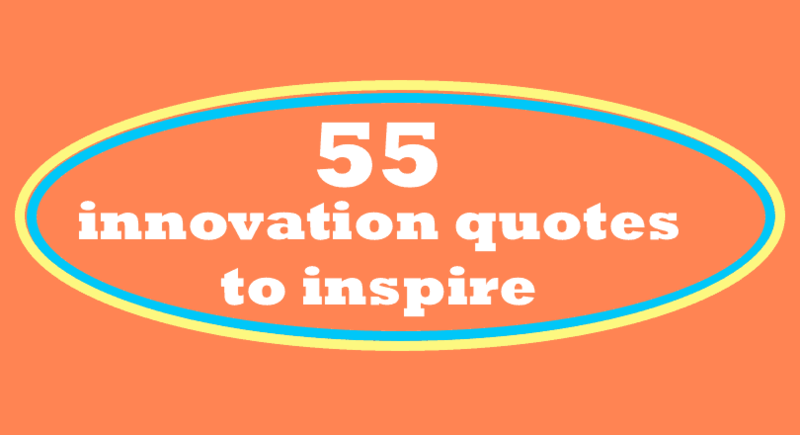 You’re on Innovative Quotes page.